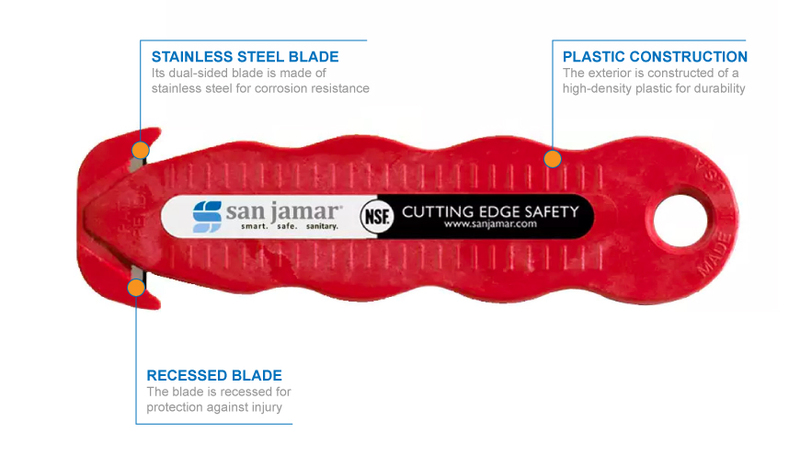 The San Jamar KK403 Klever Kutter™ box cutter has a dual-sided blade that pierces cardboard without damaging the contents. Since the blade is recessed, the risk of injury is decreased. 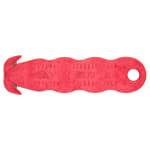 Its high-density plastic construction can endure frequent use, and its ergonomic design provides a solid grip. 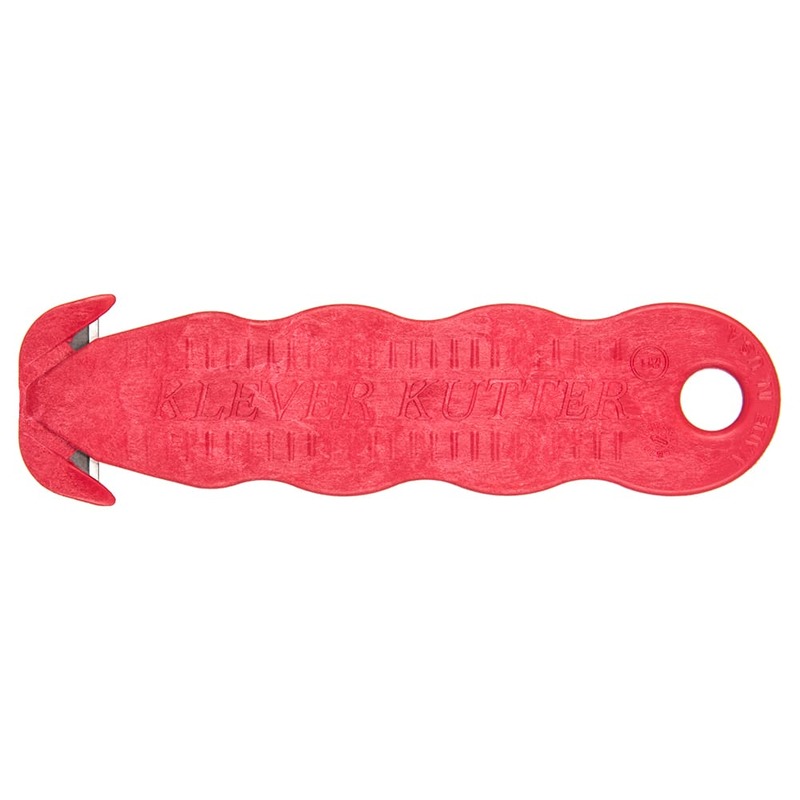 This box cutter has a red exterior.